We predicted months ago that the Bob Ford/Jesse James photo hoax is a set-up for a reality TV show. Now, Fox Business News proves that the fake photo promoted by Sandy Mills & Lois Gibson is headed, in fact, for reality TV as predicted. Fox feeds on fake fodder. With Bill O’Reilly going on “vacation” after losing advertising support, Fox Business News brings the Mills-Gibson hoax to its reality TV show “Strange Inheritance,” hosted by Jamie Colby. It appears that O’Reilly’s fake history show “Legends & Lies” about Jesse James was not fake fodder enough for the fake news network. Anyone with factual knowledge of Jesse James history who views O’Reilly’s show knows instantly from the opening scene that O’Reilly’s show is a downhill downer. Debunking O’Reilly’s fake history about Jesse James, the outlaw Jesse James never shot anyone in the back. In typical Fox fashion, Gaffney’s headline starts with two lies, necessary to the continuation of the Mills-Gibson hoax narrative. Debunking Gaffney’s headline, Sandy Mills is no heir of the Jesse James family, and her tintype is not a Jesse James photo. However, wait. Maybe we should say the article opens with three lies. Who is this Brian Gaffney, the latest Mills-Gibson enabler to “friend” their hoax cabal? Long before the idea of a reality TV program came along, The Houston Chronicle introduced the fake claim of the Mills-Gibson hoax. A long list of enablers of the hoax tagged along for the ride. They have become known as the hoax cabal of alleged identity thieves. Like the hoaxers Sandy Mills and Lois Gibson, many suffered from issues of identity and veracity. It is not surprising that Fox Business News would find a publicity ally in Sandy Mills and Lois Gibson. So now, the question must be asked. 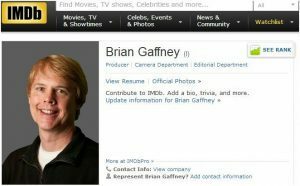 Who is Brian Gaffney? We know there is an identity problem. 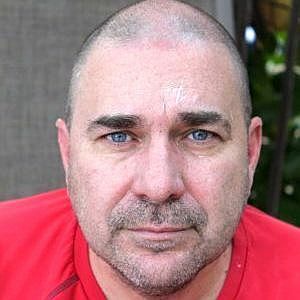 On LinkedIn, Brian Gaffney identifies himself as “Fox News Channel/Fox Business Network executive focusing primetime series, documentaries, 360 video, and virtual reality.” He also identifies himself as a producer of “Strange Inheritance.” Despite having attended law school, virtual reality and reality TV are Gaffney’s medium. Brian Gaffney is no stranger to identity politics, specifically those that affect the Fox Network. In 2015 Gaffney was engaged in protecting the network and defending Roger Ailes, soon to be fired from Fox arising from sexual harassment charges costing FOX $13 million in settlement fees. 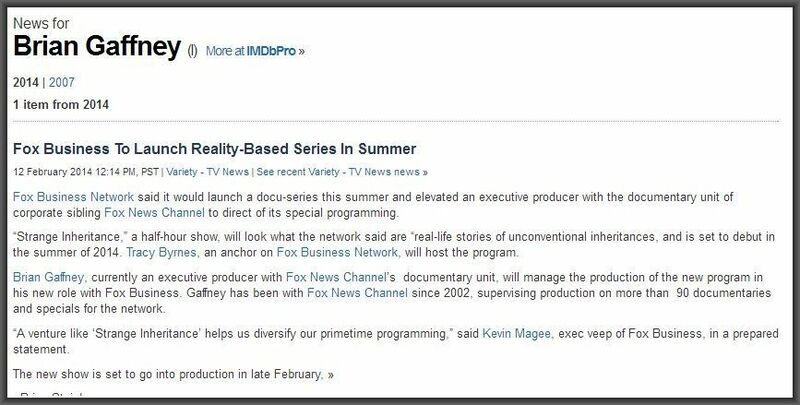 The Hollywood Reporter wrote about the sleazy identity games in its article “’Pawn Stars’ Producers Claim Fox News Network Execs Outed Gay Man in Reality TV Lawsuit.” It is not surprising Gaffney added the word “Controversial” in the title of Gaffney’s program announcement. Controversy is the grist of Fox media. On the other hand, is this Brian Gaffney? We are confident that, given Lois Gibson’s prodigious artist skills for photo imagery comparison, Gibson will prove both of these Brian Gaffney as being one and the same person. At the moment, we take Gaffney’s own blog as evidence of who he is and will proceed on the basis of that identity. Jamie Colby is the host of the forthcoming reality TV program. 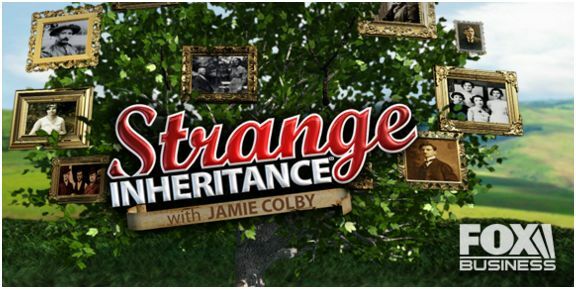 Colby is on the hunt for her next “shoot.” Trained as a lawyer, Colby sidesteps facts to sustain the corporate identity of the Fox Network that is “Fox Entertainment News.” Colby’s “Strange Inheritance” is not likely to produce any bonafide news. Belying her lawyer training, Colby avoids substantive due diligence. Do not look for Colby to display any hard-hitting investigative reporting. Colby never contacted the Jesse James family regarding her show’s topic or the claims of the Mills-Gibson hoax. Reality TV is solely focused on diversion, advertising, ratings, and cash. Producing those results, and not necessarily facts or truth is what matters to Jamie Colby and Brian Gaffney. As did Bill O’Reilly, right from the start Colby sets facts aside. Colby’s alt-facts begin in her trailer teaser for the show. Less than sixty seconds into her program teaser, Colby displays an image long debunked by the Jesse James family as a fake. Auctioneer Robb Burley appears in the trailer, proclaiming “We’ve heard anything from $50,000 to a half million dollars.” That is a substantial reduction from “the millions” Mills formerly touted she was aiming to receive for her fake photo. If Burley’s estimate expectation was true, you would think Burley would salivate over collecting the customary seller’s fee following a successful auction. Curiously, Burley waived his fee, choosing instead to be compensated by his association with the notoriety of the Mills-Gibson hoax. Bonafide Collector, Auction Shill, or Reality TV Conspirator? The name Terry Verburgt is not one recognized among the known collectors of Jesse James artifacts or Western relics. Gaffney and Colby identify Terry Verburgt as the auction bidder who presumably paid $35,000 for Mills’ tintype. In the auction sale and purchase, there is no evidence of cash payment actually being made. Regulars who attend Burley auctions stated at the time of the sale that Verburgt was not a regular attendee at Burley auctions, nor was he known to them. So, who is Terry Verburgt, who suddenly appears in circles where he should be known and recognized, but was not? We doubt Colby will investigate that in her show. Regardless, we have done some due diligence of our own. Terry Verburgt is a resident of New Braunfels, Texas, where Robb Burley’s auction gallery is located. Verburgt appears to be a gold prospector who enjoys displaying his knowledge. Formerly, Verburgt was a VP and director of an aerospace supply company. Most curiously, Terry Verburgt is a registered director of M. Windberg Galleries. The Windberg Art Center in Georgetown, Texas, is a seller of art supplies. In the art world, the track record, provenance, and reputation are always a prime consideration in regard to a prospective purchase. How aberrant is it that someone from an art supply company dishes out an exorbitant $35,000 ready cash to buy a questionable and controversial artifact that has no bonafide provenance, track record, or formal scientific authentication? Who would do so just on say-so? Was the say-so of artist Lois Gibson alone worth $35,000? This acquisition does not pass the smell test. Sandy Mills is not an heir of the Jesse James family, nor is she a relative. Her tintype is not Robert Ford and Jesse James. Lois Gibson is not a forensic scientist who can produce a scientific forensic report to authenticate a historical image. Gibson is only an artist. Robb Burley took no fee for his auction, but he had a film crew on site to video his auction. There is no evidence he actually received $35,000. The buyer Terry Verburgt came out of nowhere. He’s in the art supply business like Lois Gibson. He was unknown to Burley’s auction regulars. Now Fox Business News appears to create a reality TV show around all this nonsense. Where lies a legitimate business interest here? Red flags were waving over this charade from the start. 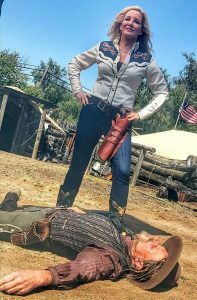 We foretold the Bob Ford/Jesse James photo hoax of Sandy Mills and Lois Gibson was headed for a reality TV show. Now it has come to pass. The Bob Ford/Jesse James photo hoax is nothing more than a reality TV show, a hoax faked about a fake historical artifact for a network that specializes in fake news and now perhaps faked entertainment. Now, do I hear a higher bid for all this fakery? I have one. It’s a book, titled Identity Thieves. Jamie Colby no longer is an employee of Fox News.